From the Lands of "Blahs" to the Land of "Ahhs"
The author of best-selling Icebreakers and Icebreakers 2, Valerie Lippoldt Mack reflects on her career as music educator, dancer, and musician and shares valuable knowledge and experience with you in Putting the SHOW in CHOIR. 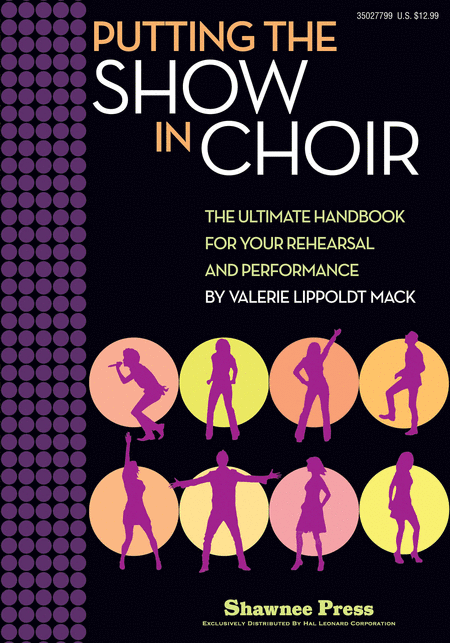 Full of tips and suggestions for successful auditions, choreography, staging and lights, costumes, programming, rehearsal suggestions, budgeting, public relations and more, this resource is a must for every concert, jazz, or show choir director! Truly, there is a wealth of information in this easy and fun to read book with humorous stories sprinkled throughout that could only happen to Valerie!